When accessing the Game Adapter’s web-based setup page, a log-in screen will appear asking for the Game Adapter’s password. The default password “admin” should be changed for security purposes. 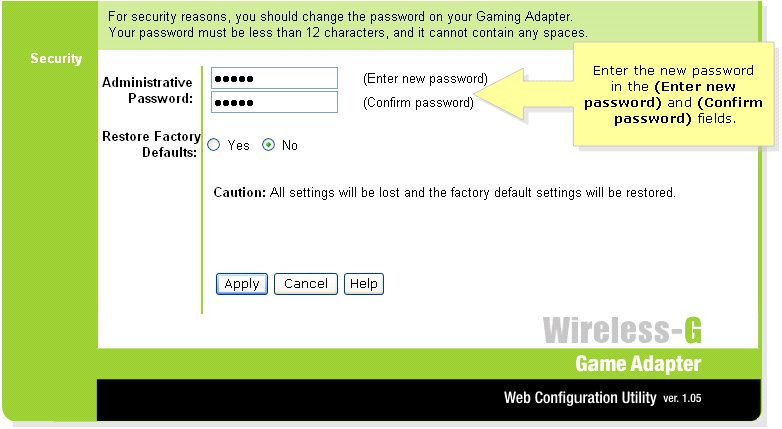 The Game Adapter’s password must be changed to prevent unwanted users from accessing the Game Adapter’s web-based setup page. 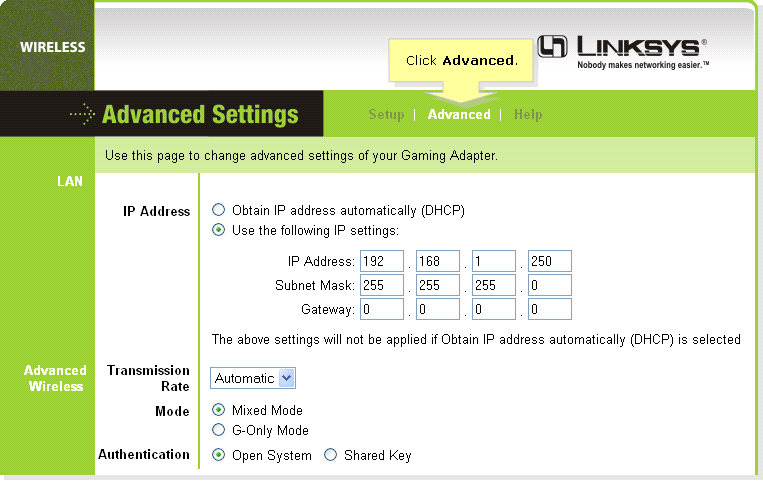 When the Game Adapter’s web-based setup page appears, click Advanced. Look for the Administrative Password field and enter the new password in the (Enter new password) and (Confirm password) fields.